(She was 18 years of age). Henry Culpepper, 72, M, Wh, GA.
+ Anna F. Culpepper, (Daughter of B. M. and M. E. Culpepper). John J. Culpepper, Brother, Wh, M, Sept. 1876, 29, S, AL/AL/AL , At school. Mollie B. Culpepper and M. L. Sullivan married 23 Dec 1900 in Lauderdale Co., MS.
Lizzie Culpepper, Wife, F, Wh, 28, Md1-7 yrs, ch 2/0, MS/MS/MS. W. B. Culpepper and Ida P. Hall married 14 Jan 1900 in Lauderdale Co., MS.
Ethel Culpepper, Daughter, F, Wh, 1, S, MS/AL/MS. Cecil Culpepper, Son, M, Wh, 6, sng, MS/MS/MS. Eddie McCall Culpepper, 1510 5th St., Meridian, Lauderdale Co., MS, Age 34, Born 3 Jan 1884, White, Tailor for Self at 2022 4th St., Meridian, Lauderdale Co., MS. Nearest relative: Mrs. Ada Virginia Culpepper, 1510 5th St., Meridian, Lauderdale Co., MS, /s/ Eddie McCall Culpepper, Medium height, Stout build, Light Brown eyes, dark hair, No disabilities. Registered 12 Sep 1918 in Meridian, Lauderdale Co., MS.
+ Ed M. Culpepper, 3 Jan 1885 - 25 Dec 1943. Jessie Jackson, Sister-in-Law, F, Wh, 22, S, MS/MS/MS, Cashier-Telephone Company. Miss Isabel Hastings, Roomer, F, Wh, 30, sng, AL/AL/AL, nurse hospital. Ada V. Culpepper, Wife, F, Wh, 43, md@26, MS/MS/MS. "My grandmother gave Everett's date of birth as January 2, 1883 on his death certificate information." "I have a letter from the Lauderdale County clerk sent to Everett in December of 1909 stating that Everett's marriage to his first wife, Lulu, was dissolved on November 16, 1906." Date of death from his death certificate. 1840 Census 1 Jun 1840� Mary was probably a free white female, age 10 and under 15, in Owen Culpepper of Lauderdale Co., MS's household, on the 1840 Census on 1 Jun 1840 at Lauderdale Co., Mississippi. 1840 Census 1 Jun 1840� Perlina and Nancy was probably a free white female, age 5 and under 10, in Owen Culpepper of Lauderdale Co., MS's household, on the 1840 Census on 1 Jun 1840 at Lauderdale Co., Mississippi. Pelina Culpepper and William C. Hall married on 30 Aug 1851 (sic) in Lauderdale Co., MS.
1840 Census 1 Jun 1840� Rebecca was probably a free white female, under five years old, in Owen Culpepper of Lauderdale Co., MS's household, on the 1840 Census on 1 Jun 1840 at Lauderdale Co., Mississippi. E-mail written 1999 to Lew Griffin from Larry & Kathy Welch. Rebecca Culpepper and Dennis Welch married 5 Feb 1854 in Lauderdale Co., MS.
Dennis Welch, was born August 27, 1827 in Wilcox County, AL. His wife, Rebecca I. Culpepper was born November 20, 1836 in Lauderdale County, MS, and they were married February 5, 1854. When Dennis was 14 years old, his father died. This left Dennis trying to farm and take care of his mother and siblings. At some point thereafter, his half-brother, Dr. Jacob Welch, took over the running of his father's farm and brought the family to his large plantation in Lauderdale Co., MS (Alamucha), which consisted of 3,000 acres and sixty slaves. Dr. Jacob stated that transportation was very primitive before the Civil War and for many years thereafter. Several plantation owners would band together annually and make a wagon caravan trip to Mobile to trade. As life was leisurely then, the round trip usually took several weeks. The mule or ox teams would make twenty or thirty miles a day, according to the condition of the roads. The travelers usually camped where ever night overtook them and spent the night around a campfire. After the evening meal the jug of "merry water" made on the plantation was bought out to key up the spirits of the travelers and put them in a happy or fighting mood. Upon returning home, they were eagerly greeted by their families and the slaves, for they usually brought back presents as well as news. Summer trips were made in carriages or on horseback. The Welches had carriages and a slave trained as a coachman, although the women of the family, as well as the men, made journeys to neighboring plantations on horseback. As for the fields, fertilizer was not much in use in those days. The fields were fertile and produced abundant crops without it. Cotton seed was considered worthless and hauled out in the woods and dumped. The cotton itself was ginned on the place by an old fashioned horse gin. It was operated by two mules who were hitched to both ends of a long lever and made to go around in endless circles. Tomatoes were grown as decorative plants and not used for food, being called "love apples" at that time. They were so tempting in appearance that the children had to be watched to be kept from eating them. Finally, it was discovered that they were good to eat and not poisonous. "The war beginning in the early months of 1861, which with 1862, both years being failures in crops, in consequence of unprecedented droughts throughout the southern states, made the chances more unfavorable for success of the south. And a severe task for the people to supply provisions to supply the needs of the army. It lasted four long years with the loss of our slaves and nearly everything else that we formerly had in abundance with ruinous taxes and heavy tithes - having myself to pay a tax during the war, in one year of $1280.00 and 1200 bushels of corn, besides able servant hands to work on forts, railroads and government works, besides others provisions such as food, clothing, mules, horses, beeves, etc. Oh, it was an awful time! Indeed it was. In 1864, General Sherman with an overwhelming army of the Union side, came from Vicksburg to Meridian, where Gen. Polk was at the head and command of our Confederate army of about 8,000 men, who, not being strong enough to contend with Sherman, retreated for Demopolis, AL and halted a day and night here at Alamutcha, filling the whole neighborhood with soldiers - who took nearly all the provisions of corn and meat - stock - oats -potatoes - in fact everything they could find for supplies and it being quite cold weather (February 14th, 1864) they burnt up all the rails of my fence around home, and along the road reaching east across Alamutcha creek, nearly two miles in extent, amounting to many thousand rails. They left us, out of a large crib of corn, only about forty bushels to feed a large family, although I had already paid my tythe tax of several hundred bushels. They also took nearly all of the pork we had and left us with almost nothing to live on and therefore had to rush off a large portion of our family servants with four wagons and teams to the old neighborhood in Georgia to be fed, in the care of our young son, William T. Welch- going with him myself to help him on as far as Selma, and see the safely across the Bigbee River, etc. This sending servants, wagons, mules, etc. took place before the Confederate Army reached our neighborhood, else we would hardly have had anything of stock or vehicles left us; for our army was nearly as bad in seizing upon anything wanted, as was the enemy, with the exception of burning up houses. We had nearly two hundred head of goats and an equal number of cattle and a large number of hogs--a number yet in pens for pork that we had yet to slaughter. The most of the fattening hogs they took and killed besides several thousand pounds of pork we had put up in the smoke house to supply us the year. As it turned out, I never got back but very few of the stock sent off. We sent off to GA twelve mules with wagons and most of the servants, for want of supplies to support them here -keeping two yoke of oxen and a few cows for milk, and the army took the steers for beef, despite of me. We had at least 100 bushels of potatoes. At my request, a guard was put over them for protection, which we hoped were safe, but after the army left we found the potatoes all gone. The soldiers stole them. Awful times. The preceding information comes mostly from the Autobiography of Dr. Jacob Welch of Lauderdale Co., MS and transcribed by his great grandson, A. Jarvis Welch. This autobiography can be found in the Lauderdale County, MS Archives. Dr. Jacob Welch is the half-brother of Dennis, who helped raise Dennis and his siblings after the death of his father. From the notes of Eric Austin Welch (1893-1978), the grandson of Dennis and Rebecca. My grandfather Dennis served three years and nine months and fought at the Battles of Shilo and Vicksburg. He was taken prisoner and sent to Rock Island Prison in Illinois. After the war was over, Dennis walked two-thirds of the way home. There he found his wife and children sick, ragged and hungry. Federal troops under Co. Grierson had carried away everything of value on the Welch plantation. The land was grown up in weeds, the cabins abandoned and desolation everywhere. The time was in the fall of the year, too late to plant crops. There were a few stray cows and a few mules that had been inadvertently left behind. Dennis, Rebecca and their family somehow survived the winter and gained back some of their health and strength. With the help of a few ex-slaves, they planted a crop in the spring. Cotton was sixty cents a pound when it was gathered in the fall. This good fortune gave Dennis a stake which enabled him to strike out on his own, which he later did. At about the year of 1870, the production of cotton caught up with the demand and the price on the Liverpool market declined to the pre-war level of eight cents a pound. Dennis decided to move to between Newton and Hickory in Newton Co., MS in a community called Poplar Springs. Dennis and Rebecca Welch and family left Lauderdale by wagon train bound for Newton Co. The party consisted also of Dempsey (Dennis' brother) and his wife Tilitha, Daniel, Priscilla and husband Druary Yarbrough, Rebeccas sister, Nancy Culpepper Harris, wife of Michael Harris. According to Eric's notes, Nancy's husband Michael Harris died while enroute. He also states that four years after Rebecca's death, Dennis married his sister-in-law, Nancy Culpepper Harris. Letter written by Dennis, over thirty years after the war, to his daughter Media Welch Sheppard. Media (Almeda) was born a year or so after the war was over. Rebecca Culpepper, the wife of Dennis and mother of Media, apparently had died prior to this letter being written. Was truly sorry to hear that you had been sick, but thank God that you are up Media. Dr. Ross is one of the best Christians that you have got in that section. God will surely bless him in all his laudable undertakins (sic). Media I don't know when I will be at home. If any of you gets sick let me know at once. I can say to you Media that I am in the best of health but I am not satisfied & feel so lonely and meloncolly (sic). My all is gone. She was all my life to me. But alas she is gone the way of all the earth. I will have to ly (sic) down in the cold and icy arms of death, but I hope that I can be ready when the sommons (sic) comes. Media if I was you I would go about among the children til you get harty (sic). You want rest, and re..... up and don't sturdy (?) about your condition. You will be cared for. You and your little ones I am as well satisfied help as I would be any where (anyway?). Warren is a good boy to me and so is .... I feel my losses but I hope I will get over all my troubels (sic) after a while. Tell Lem that I will write to him soon. Warren's little family are well. Paris has been sick for a few days but he is better now. Well Media take care of your self the best you can. If I was at home I could not get any work to do so I had as well s.... our hear. See after Philip and take care of him. Give him good advice and tell him to keep good company. Give my love to all my children and gran children (sic) and write and tell me all the news. Write where Jim(?) is. I want to write to him. I must close for want of space & remain your affectionate Father. Material provided to Culpepper Connections! by a great-granddaughter of Dennis Welch, Sarah Brooks of Gulfport, MS.
Miss M. A. Culpepper and R. L. Horne married 24 Oct 1878 in Clarke Co., MS. Bond by R. L. Horne and P. P. Culpepper, Book D-383. P. P. Culpepper and Anna C. Buffington married 15 Mar 1899 in Clarke Co., MS, Book H-1. + Alma C. Culpepper, wife of P. P. Culpepper, dau. of L. E. & C. A. E. Buffington, 12 Feb 1863 - 8 Mar 1900, "Rest, sister, rest and sleep, while friends in sorrow o'er thee weep." Emmett James Culpepper, Joseph Ernest Culpepper and William Pinckney Culpepper. Photographed say 1958� He was photographed say 1958 at Kansas City, Jackson Co., Missouri. Chem. 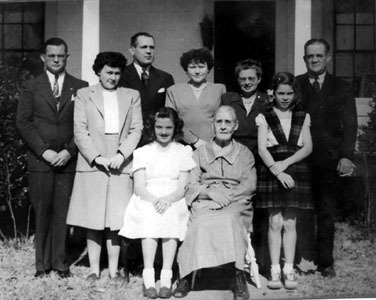 Co. exec; b. Quitman, Miss, 26 Aug 1903; s. Phillip P. and Martha E. (Harris) Culpepper; B. S., Miss State U., 1929; m. Genie Acklen, 7 Aug 1930; 1 dau., Becky (Mrs. Dale E. O’Connor). Salesman, Synthetic Nitrogen Products Corp., 1929-33; gen. Sales mgr., 1944-46; dist. Mgr. Am. Cyanamid Co., 1933-44; with Spencer Cehm. Co., Kansas City, Mo., 1946-64, v. p. sales, 1954-57, sr. v. p. marketing, 1957-64, sir. 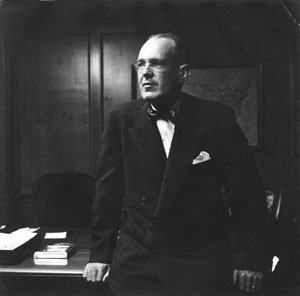 V. p. sales, 1957-64, also dir., mem. Exec. And mgmt. 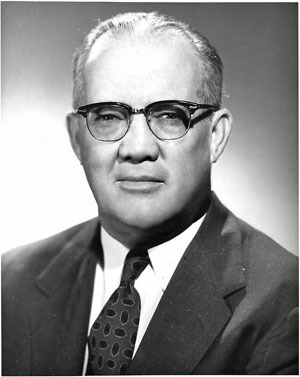 Coms., 1954-64; senior v. p., member of operating com. Spencer Chem. Division of Gulf Oil Corporation, since 1964-. Adviser secretary of agriculture, 1942; exec. Com. Greter Kansas City Council Chs., 1955-58; world peace com. So. Bapt. Conv., 1958-59. Trustee, exec. Com. William Jewell Coll; trustee Baptist Memorial Hosp., Kansas City, Mo., hon. Dirs. Assn. Rockhurst Coll; adv. bd. Kansas City, (Mo.) Salvation Army; mem. Miss 4-H Club Found. Baptist (deacon). Clubs: University, Kansas City, Indian Hills Country (Kansas City, Mo.) Home: 630 W. Meyer Blvd., Kansas City 13, Mo. Office: Dwight Bldg., Kansas City 5, Mo. James Culpepper, Son, M, Wh, 3, S, MS/MS/MS. James Culpepper, Son, M, Wh, 12, sng, MS/MS/MS Farm laborer. Joseph Ernest Culpepper and Genie Acklen 7 Aug 1930 in Clarke Co., MS, Book 5-614(A). Photographed* say 1975� He was photographed say 1975 at Caryville, Washington Co., Florida. William Pinckney Culpepper, Holmes Co., FL, White, 03 Mar 1905 - 14 Dec 1977. + Ernestine Owen Culpepper, 8 Sep 1898 - 18 Oct 1977. Ernestine Dorothy Culpepper, Holmes Co., FL, White, 08 Sep 1900 - 18 Oct 1977.